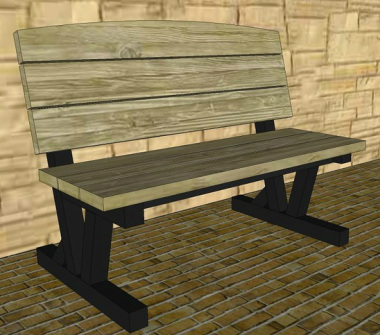 I seen a bench similar to this years ago at the local fairgrounds. I remember being impressed how strong and comfortable it was so I came home and made one from scraps I had in the garage. It's still in the yard at the barbeque area. I made the one pictured above (photo on the left) for my Daughter to sit next to her garden years ago. Needs a new coat of paint but it is one of her favorite pieces of outdoor furniture. 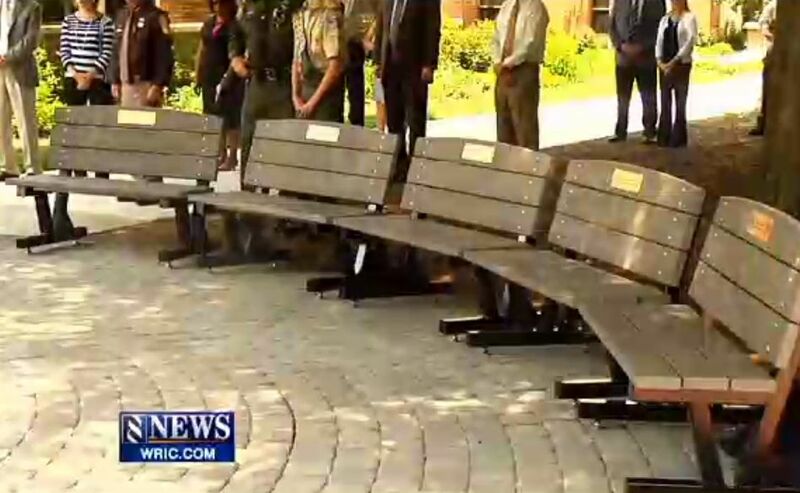 The bench on the right is the one I modified for the Boy Scouts of America to build as commemorative benches for fallen police officers in Virginia. It's even beefier than the original but will weigh and cost more. I'll send both plans and you can decide which you want to build.The plans are very complete, easy to follow and includes a full materials list. And the best part, they are just $1.95 in PDF format. As soon as I get your order, I will email the plans to you. 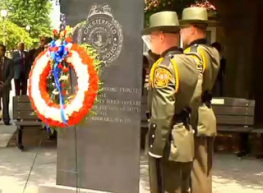 Then you can print the 6 page plan and go to work. .
Click on either of these photos to watch a moving news report about fallen Police Officers and the commemorative benches built by some truly wonderful young men.